Food is an important part of our culture. Activities revolve around it, advertisements glorify it, and our social media feeds are full of it. This causes many of us to choose unhealthy foods because they are visible, convenient, and lower in price than healthier foods. Unfortunately for us, choosing these “toxic foods” can have negative effects on our health and wellbeing. Therefore, it is important for everyone to educate themselves on making healthier food choices. This is especially important for those with Type 2 diabetes as the foods we eat can directly affect blood glucose levels. 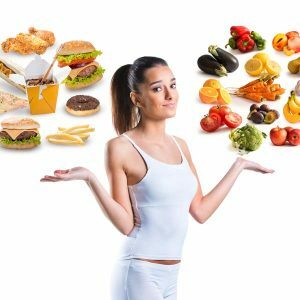 There are many different ways that you can avoid unhealthy foods and make healthier choices, but it may seem like a daunting task for many. When it is understood how our toxic food environment affects our health and how we can work to combat the environment, healthier options can be made and blood glucose levels can be controlled. The environment that we are exposed to has a big effect on the choices we make, especially when it comes to selecting the foods we eat. Whether we realize it or not, we make choices based upon the tempting advertisements we see, what others around us recommend, what choices are convenient at meal time, and the difference in price of healthy versus unhealthy foods. Creative marketing by restaurants and food manufacturers is created with the purpose of tempting viewers so much that they run out and buy that food. Unfortunately, more often than not, these marketing strategies are used by fast food companies who offer unhealthy food options. These advertisements come in many forms: television and radio commercials, billboards, magazine ads, and strong social media presences. This makes it very difficult for us to avoid the temptations and many of us give into the temptations more than we would like. We see others in our life making these same choices, so we are able to rationalize our decisions with others. Our choices and the choices of those around us become common and we may find that we don’t make food choices outside of this ‘norm’. 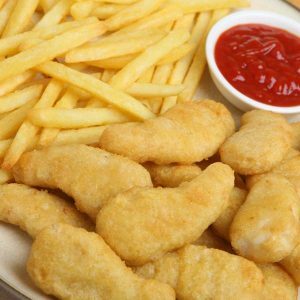 The unhealthy food choices that are often advertised become part of a routine and it’s hard to break this routine because these foods are purposefully very convenient. Many would rather pick up unhealthy food because it means they don’t have to cook or clean up the kitchen after the meal. If you take a look at workplaces, schools, and other public areas, the snacks that are offered are often quick and unhealthy options. Healthy and convenient food choices can be found, but they often come with a larger price tag than the unhealthy options. Many may find themselves in a position where they cannot afford the healthier foods in the grocery stores or at a restaurant so they feel forced to make unhealthy choices. It may also be difficult for some to make the healthier choices in the grocery stores because the stores seem to be filled with more unhealthy options that are easier to find on the shelves. It is difficult to avoid these unhealthy food choices when they are so ingrained in our culture. When looking to make healthier food choices, it is important to look at your surroundings and figure out how you may be influenced to make choices without realizing it. This can be the first and most important step in taking control of your eating habits. What is considered a “Toxic Food”? When talking about toxic food environments, it’s important to understand what foods are categorized as toxic. Typically, we think of toxic as something that will negatively affect our health. The foods we eat every day don’t usually come to mind when thinking of items that may be toxic. Foods can be toxic to our health when they are high in calories, high in fat, and are processed. They may not have an immediate negative effect on our health, but consuming these foods in high quantities over time can cause health concerns. A diet consisting of these foods paired with a sedentary lifestyle can lead to obesity, high blood pressure, and high cholesterol, just to name a few things. If this lifestyle continues over time, these health complications to lead to greater concerns. Although it is difficult to avoid toxic foods in our culture, it is important that we are educated about healthy food choices in order to achieve a high level of health. Even though toxic food choices are abundant wherever we go, there are also healthy foods that can be chosen instead. These healthier options aren’t always as heavily advertised, so they can seem difficult to find. If we spend more time educating ourselves and others on how to select healthy food options, it can seem like a less daunting task. When you are in a situation where you are making decisions about your diet, there are strategies that you can use to make healthier choices. These strategies can be used at the grocery store when checking food labels or at restaurants when deciding between entrees. Limit the amount of sugar and processed foods you consume. Instead of choosing chips or cookies to snack on, try keeping fruits and vegetables on hand. You can purchase fresh or frozen vegetables at the grocery store and choose fresh vegetables as sides at a restaurant rather than chips or french fries. 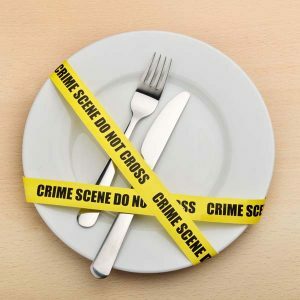 If you limit the amount of “toxic foods” that you expose yourself to either at home in your pantry or on your plate at a restaurant, you are less likely to consume them in high quantities. When grocery shopping, compare food labels. If you are debating between a few food choices, take a look at the nutrition labels to make your choice. Choosing foods that have fewer ingredients that you recognize are typically better options than those with long lists of ingredients that you cannot pronounce. Cook your own meals whenever possible. This will allow you to know what ingredients are going into your food and to limit the amount of toxic foods that are included. This could mean cutting back on added salt and sugars. Some people may feel that they aren’t a great cook or they don’t enjoy it, but it is important to try it before you write it off completely. Try new recipes from friends or coworkers. Get your family involved in preparing dinner. This may make it more enjoyable and something you will want to do more often. Set yourself up for success at restaurants by limiting the foods you are exposed to. This will decrease temptations and prevent you from overeating. 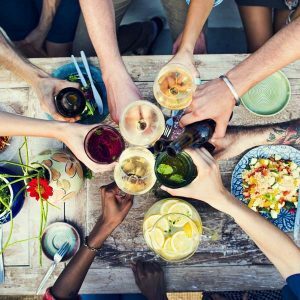 There are several ways that you can limit food consumption at restaurants: skip the breadsticks or chips that are brought to your table before the meal, get salad dressing on the side and add to or dip your salad in as needed, and choose sides like steamed vegetables rather than piles of white rice or potatoes. When you find yourself craving something sweet, grab a piece of fruit. Fruit contains natural sugars which are not as harmful as those found in processed sweets. Choosing foods low on the glycemic index will raise blood glucose levels slowly while curbing your sweet tooth. Before you eat, ask yourself if you are actually hungry. You may be craving foods but find that you aren’t truly hungry. It is important that you understand your body’s cues and follow them. If you find yourself craving something, try drinking a glass of water and then evaluate if you are hungry. The water may help you determine if you are truly hungry or if giving into your craving will cause overeating. Keep healthy snacks on hand when traveling. This will limit the number of times you stop for a quick snack which often leads to unhealthy food choices. Snacks that travel well include nuts, granola bars, and trail mixes. It is important to choose low-sodium and low-sugar options. If you did not bring these foods with you, look for them at convenience stores; they often have sections with healthier options. Know your weaknesses and prepare for them. If you know your weaknesses ahead of time and are prepared to combat them, you are less likely to make unhealthy choices. Set yourself up for success by planning ahead each day. Even those who are educated in making healthy food choices find themselves struggling to find the willpower to avoid unhealthy cravings. This does not mean that you cannot find ways to push past the cravings and temptations. A great way to overcome these obstacles is to always plan ahead. When eating out, research healthy options at the restaurants you are going to so you do not make a rash decision on what to eat. When traveling, keep healthy snacks on hand to avoid quick grabs. It may also help to find a friend that has the same goals as you so you can hold each other accountable. If someone else knows what your goals are and what choices you would like to make, you are more likely to stick to your goals because you know someone will be checking up with you. Although it will be difficult at times, it is important to plan ahead in order to stick to your goal of making healthier food choices. Making healthy food choices is difficult for everyone in our culture. It is very important for everyone to limit toxic foods in their diet, but it is especially important for individuals with Type 2 diabetes. Since Type 2 diabetes does have a strong genetic link, it can be difficult to alter the food choices that you and your family have made for years. The foods that you consume directly influence blood glucose levels. 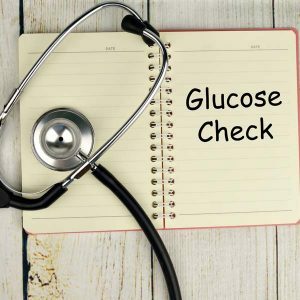 It is important to monitor your glucose levels before and after meals because foods affect each person differently. The more you understand how foods affect you, the better equipped you will be to make healthier food choices. A part of making healthier food choices is choosing low-fat and low-carbohydrate options. When choosing foods, look for foods that are low in saturated and trans-fats and high in mono and polyunsaturated fats. Saturated and trans-fats cause an increase in blood cholesterol levels which increases the risk for heart disease. Type 2 diabetes puts an individual at a higher risk for heart disease, so it is important to decrease other risk factors. Mono and polyunsaturated fats are considered “healthy fats” because they work to lower LDL (the bad cholesterol). Carbohydrates have a direct effect on blood glucose levels, so it is important to limit the amount of carbohydrates consumed each day. 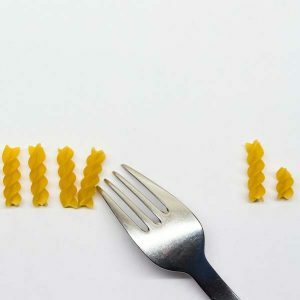 A high-carbohydrate diet often leads to high blood sugar, so it is often recommended that individuals with Type 2 diabetes closely monitor their carbohydrate intake and blood glucose levels each day. Everyone will have a different need for carbohydrates depending upon medications and physical activity level, but a good guideline to follow is to limit carbohydrate intake to 45-60 grams per meal. It can be helpful to limit your exposure to high-fat, high-cholesterol foods in order to avoid situations that you know will cause temptation. You can speak with your physician or dietitian to get a more individualized goal for your needs. 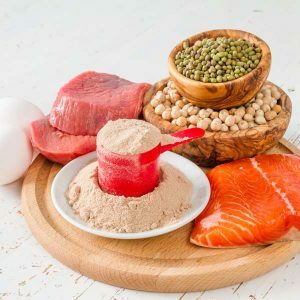 Following a low-fat and low-carbohydrate diet can seem daunting at first, but with the proper guidance and education, this type of diet can be very helpful in managing Type 2 diabetes. Make sure to download our diabetes management guide for more tips and tricks here. 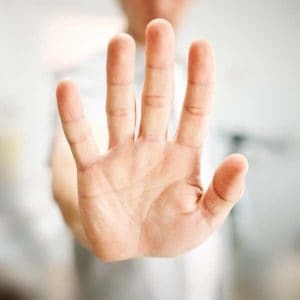 Managing Type 2 diabetes can feel overwhelming in this toxic food environment, but there are many ways that one can work toward overcoming the obstacles that this environment poses. The most important thing to do is to become educated on how your food choices affect your blood sugar levels. Enlisting the help of your physician and/or a registered dietitian is a great place to start as they can help you set individualized goals that will be relevant to your health and lifestyle. The environment that we live in impacts our food choices greatly even when we think it doesn’t. These food choices may not seem important, but the choices we make can either be positive or negative to our health. It is important to prepare to face unhealthy food choices and to understand how our choices can affect our health. An individual with Type 2 diabetes should also understand how these foods affect their blood glucose levels in order to better manage them. It can be difficult to avoid unhealthy options, especially when they are a part of food habits that have been in place for years. Preparing yourself for grocery trips and eating out at restaurants can be helpful in avoiding foods that you may regret later. 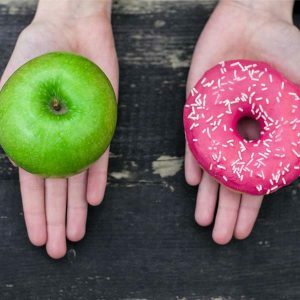 Understanding the importance of and how to make healthier food choices will not only make you feel better, but it will also help to better manage blood glucose levels. A super breakfast or lunch salad. : begin with leafy greens and then add peppers, onions, carrot, garlic, chips of broccoli, tomatoes and scoops of avocado. Sprinkle chia seeds and balsamic vinegar. Throw on some walnuts. And you’re set for the day.